We know this is kind of a taboo topic—whether or not the 2016 election was legitimate—but we’re not the only people who have asked this question. After all, if that election wasn’t fairly decided, should we have faith in President Trump? Should we have faith in the electoral process at all? In fact, a recent op-ed in the Los Angeles Times brought this issue out into the open and put together a number of reasons why we should, in fact, question that election’s legitimacy. It all starts with the fact that a nation devoted to majority rule has a minority president who managed to gain office through a combination of an electoral college technicality, using voter suppression and dark money, using disinformation that came from Russian state-sponsored actors… and most of all, who won against most data projections. Civics Lesson: How Easy Is It to Hack a Voting Machine? At 2017’s Defcon conference, it became quite clear how easy it is to hack an electronic voting machine. In the Voter Hacking Village, hackers were provided with 30 voting machines to play with, including the Advanced Voting Solutions WinVote machine, which was used in elections in Virginia, Pennsylvania, Mississippi, and most likely several other states. What they found was appalling: the WinVote machine’s password was “abcde,” which couldn’t be changed by end users. It took hackers all of 90 minutes to break into the voting machine. The WinVote uses Windows XP as an operating system—an OS which hasn’t been updated since 2014—and the hackers used a Windows XP exploit from 2003 to break into those machines… which means it’s been 15 years since the software in those machines was updated. “When you’re in the machines, changing votes as simple as updating an Office document,” CNet wrote. 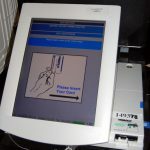 Hackers were also able to easily penetrate a Diebold electronic voting machine. The lesson: Protect your vote and your voter registration and demand a paper ballot if you can get one. It’s been shown beyond a shadow of a doubt that Russia did interfere in the 2016 elections. All our nation’s intelligence agencies agree on this topic, and so does the Republican-controlled Senate Intelligence Committee. So, why are people failing to believe that a nation that not only hacked the Democrats but also hacked voting software and voter databases is capable of tipping an election with a few clicks of a mouse? 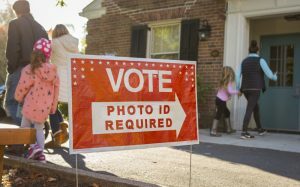 As an interesting aside, the seven states whose voter databases, election websites, and voter look-up systems were hacked—Alaska, Arizona, California, Florida, Illinois, Texas, and Wisconsin—include several “swing states,” the most important of which in the 2016 election were Wisconsin and Florida. Given the number of voters who couldn’t vote and the fact that Wisconsin Republicans know the state’s voter ID law would hurt voters in heavily Democratic districts, surely it’s just a coincidence that President Trump won Wisconsin by 22,000 votes. Here’s another issue that should cause us to question the outcome of the 2016 election: in Florida, exit polls on election day had Hillary Clinton winning the state by 1.3% of the vote, but for some reason, when the votes were tallied, Trump took the state by 1.2%. This data is obviously not conclusive, but it should give us pause to think about the possibility that vote hacking might have played a role in President Trump’s election. Then, of course, there’s the fact that President Trump has continually tried to make people “move on” from the 2016 election; he’s certainly hoping that Special Counselor Robert Mueller will “move on” from the Trump/Russia investigation. And we all know how much time the president has spent trying to convince the American public that the Russia investigation is a plot and a “witch hunt” by Democrats. Do you know who else urged Americans to “move on” from political problems? In 1974, President Gerald Ford pardoned Richard Nixon because bringing him to trial would shake the newfound “tranquility” in the nation. Supreme Court Justice Antonin Scalia also urged Americans to “move on” from the Supreme Court decision that handed the 2000 election to George W. Bush. Who really suffers as a result of what happened in the 2016 election? Everybody, including many of President Trump’s supporters. The American people are suffering much more than President Trump ever will, and no amount of exhortations to “move on” from the 2016 election will ever heal the damage done to our nation’s people and its reputation abroad.